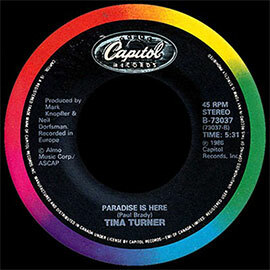 "Back Where You Started" is a single from Tina Turner's album "Break Every Rule". This song was written by Bryan Adams and Jim Vallance, and produced by Bryan and Bob Clearmountain. "Back Where You Started" was the 2nd collaboration between Tina and Bryan. "Back Where You Started" is a rock song about a man cheats on his woman. The woman has been too blind to see, but she no longer can’t deny. She confronts him and gets rid of him. 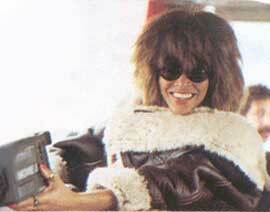 Tina performed the song during her Break Every Rule World Tour 1987/1988. The song also can be seen on the Break Every Rule Live Special from 1986. They’ve used the video from this special as promotion video. 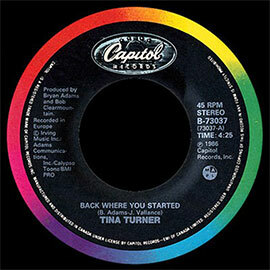 "Back Where You Started" was released as a 7" or 12" promo/demo single in the USA and Canada. 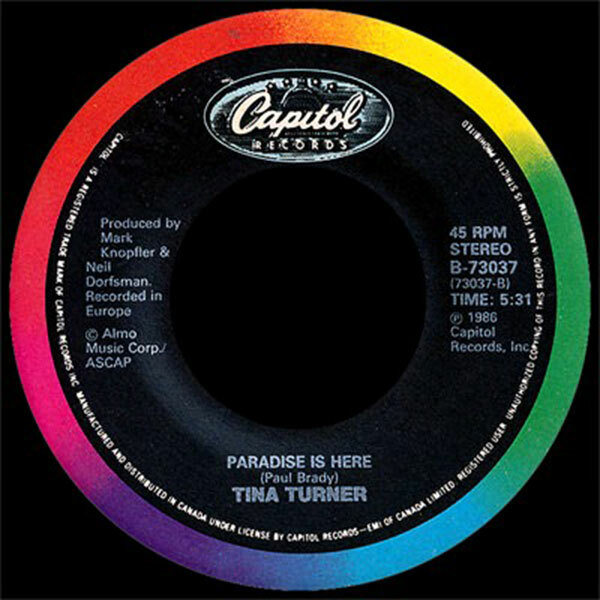 However the song did well on the Billboard rock mainstream charts, so they decided to release the song as a regular 7" with the B-side "Paradise Is Here" which was also included on the "Break Every Rule" album and became released later as well. "Back Where You Started" won a Grammy for Best Vocal Rock Performance Female. "Paradise Is Here" is about a woman who tells her man to stop chasing for better things in the future. She doesn't need that and for her paradise is here, in the now.